APRIL IS — Child Abuse Prevention Month and Sexual Assault Awareness Month. Brighter Futures Counseling has scheduled events throughout the month to help commemorate. HELP US ADVOCATE! GET INVOLVED! JOIN THE FUN! Happy National Play Therapy week. Join us February 3rd through the 9th to celebrate. Our office has a lot of great things going on this week and we would love for you to be a part of it. If you are in the office this week, take a minute to guess how many miniatures are in the jar at the front desk. The person with the closest guess will win a $25.00 gift card to Barnes and Noble at the end of the week. Can you find the hidden Play Therapy Horse in your therapist’s office? There will be one winner per day per therapist. All winners will be entered into a drawing for a $25.00 gift card to Barnes and Noble. Keep a look out, we will be around town with the Play Therapy “Dude” be the first person who guesses where the “Dude” is each day and you will be entered into a drawing for a $25.00 gift card to Barnes and Noble. Tell us what you love about Play Therapy or How you incorporate Play into your life and get entered into a drawing for a $25.00 Barnes and Noble gift card. Check out what our therapist have to say about why we love Play Therapy, and share great information about the benefits of Play! The team here at Brighter Futures Counseling, PLLC wants to wish you and yours a very Happy Holiday. We also wanted you to be aware of our office closings during this Holiday season. Our office will be closed starting November 21st, 2018 at 11:30 am and we will reopen with normal business hours on November 26, 2018. We will also be closed starting December 21st, 2018 and will be closed until after the New Year, with our first day back in the office being January 2nd 2019. Normal business hours will resume after this time. If you should have an emergency during this time please call 911 or contact your nearest emergency room, as all staff will be out of the office. Thank you, and again warm wishes during this Holiday. If you have any questions, or think you may be interested in attending our DBT Skills Training Group, please call the office at 270-982-9292 to find out more. Service Coordinator–Full time position (40 hrs./week). Responsible for managing referrals from community partners as well as the relationship with community partners. This position will also be a liaison for Brighter Futures Counseling with local court systems. 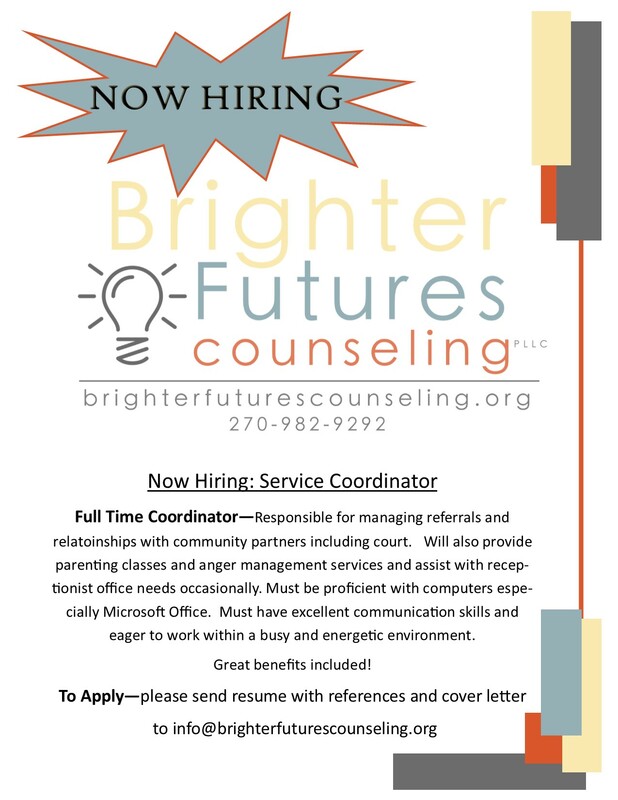 The service coordinator will provide parenting classes and anger management services as well as assist with office support occasionally. Full benefits included. Must have excellent communication skills and be proficient with computers. Preferred Bachelor’s degree in Psychology, Social Work, or related field…and experience in the mental health field, though not required. Office Support–Full time position (40 hrs./week). Responsible for all support related functions–scheduling clients, managing a busy reception area, faxing, filing, copying, and various support related needs. Full benefits included. Must have excellent communication skills and be proficient with computers. Experience with reception duties and medical billing is preferred. Hardin County Happenings and FREE Story Time! 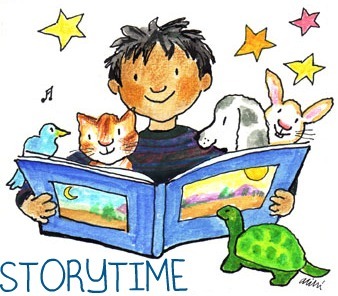 We’d love to hear about your family experience at Story Time! 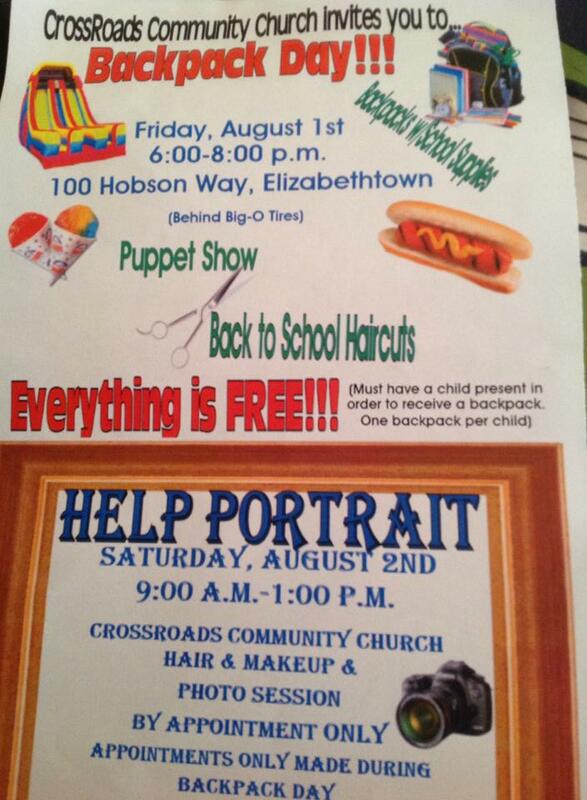 Free School Supplies and Fun! A local Church is having their annual “Backpack Day!” They’re giving away FREE Backpacks full of school supplies to those who need it. Also spend time enjoying all their great events and food while there– including a Puppet Show and FREE Back to School Haircuts! 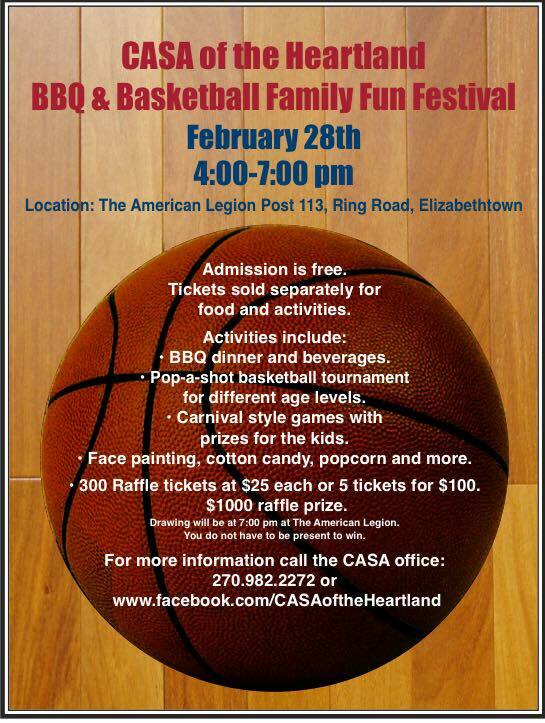 Rumor is there might even be inflatables and Snow cones! at CROSSROADS COMMUNITY CHURCH in ELIZABETHTOWN! 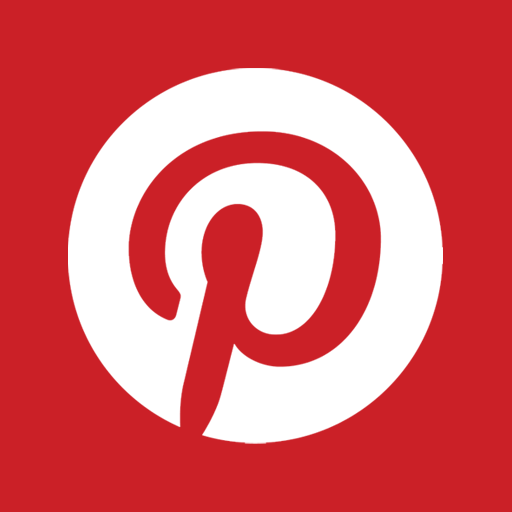 Brighter Futures Counseling–Pinning great Resources on Pinterest! 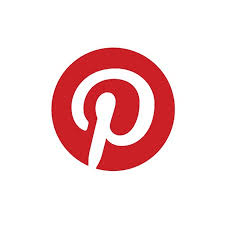 Brighter Futures Counseling, PLLC is now on Pinterest! Like most of the people we know, the staff at Brighter Futures Counseling love Pinterest… Some of us may even have to admit to a Pinterest Addiction. We wanted to use Pinterest to get great ideas out to the community… We are pinning everything we can think of to help clients, caregivers, professionals, and other therapists. Check us out and Follow us on Pinterest to see great ideas to promote Child Development, Parent/Child relationships and Much, Much More! You can find us at: Brighter Futures Counseling on Pinterest. We’d also love to follow you–so please send us an invite! The American Academy of Pediatrics Early Brain and Child Development (EBCD) Leadership Workgroup is now offering 5 new trainings and education modules! These are completely free and can be completed at your own pace. Each module includes a PowerPoint presentation with presenter notes. Additional resources are also provided for those seeking more in-depth information. 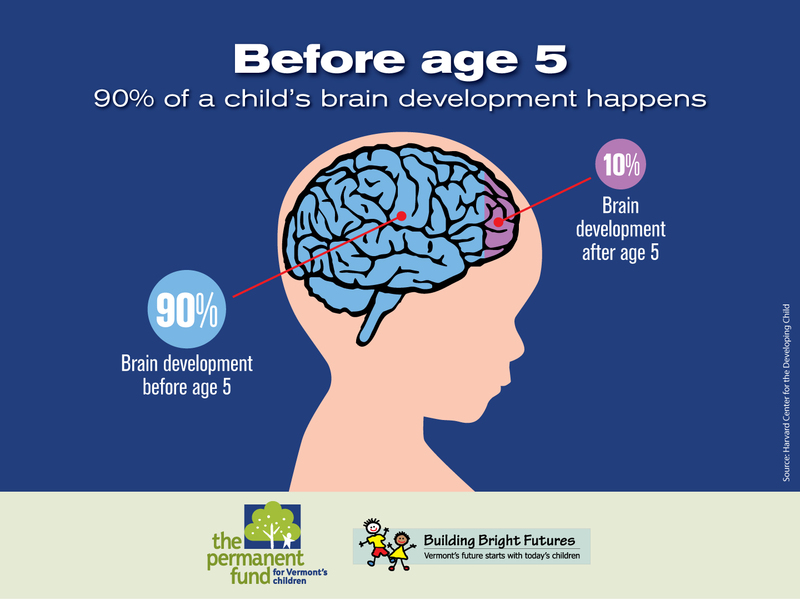 Check them out and learn more about Early Brain and Child Development–Knowledge can make a difference!